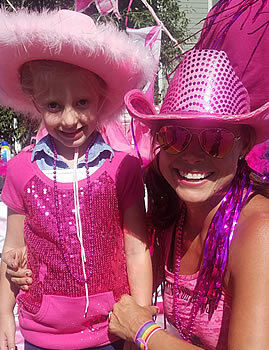 Cattlemen’s Days Tough Enough to Wear Pink is excited to announce a new service available to breast cancer patients in the Gunnison Valley. TETWP will provide complementary coupons for two 4 hour home cleaning sessions for breast cancer patients as they undergo treatment. Blue Sky Cleaning has generously offered to provide these services at a discounted rate. Blue Sky Cleaning has been providing professional residential house cleaning services since 2013, with a reputation for quality and reliability. At Blue Sky, we are committed to honoring our own loved ones and helping people suffering from cancer by: Providing house cleaning services to women undergoing treatment for cancer. Blue Sky utilizes natural, organic cleaning products as an alternative to the cancer causing chemicals used in traditional cleaning products. We will focus on your house, so you can focus on recovery, spending time with loved ones, or putting your feet up after a long week.